Steel frame with black powdercoat finish. Glove soft calf skin leather. Adjustable down-filled headrest. Previewed by Baker at the fall furniture show in High Point, NC, in October of 1984, this iconic arm chair was formally introduced by Baker Furniture at the Chicago "NEOCON" exhibition in June 1985. The price was $4,927. In that period the company was developing the "Baker Executive Office" division, and for several years the company made an important publicity oriented introduction at that annual show. 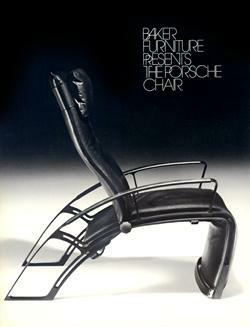 The Porsche chairs shipped to customers in the spring of 1986. 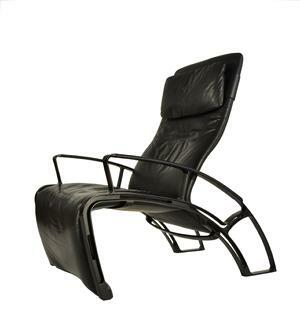 The #2A chair was offered in both a black painted version, as well as a stainless steel frame option. The design was intended as a "limited edition" of 100 units. 106 chairs were eventually produced for the American market. Approximately 65 of these chairs were in the black painted treatment as ours, with approximately another 35 in the stainless steel treatment. There were three chairs produced for the original Baker shipment in a bronze finish with bronze colored leather. The chair was also available in Germany as the IP 84S. In 1985 our Gallery Director was employed as a management trainee at Baker, working at Plant #1 in Holland, MI. 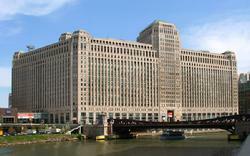 It was from this facility that the Porsche Chairs shipped. In this capacity, upon arrival of the shipping container from Germany our Director was assigned to inventory the shipment and make inspection of the chairs. In 1989 the Boston Architectural Center (now the Boston Architectural College) presented an exhibit of "The 10 Best Chairs of the 20th Century." We were pleased to loan our copy for that show. NB: While these chairs were originally designed with a reclining mechanism, they generally serve better in their very comfortable and sculptural upright and stationary position.